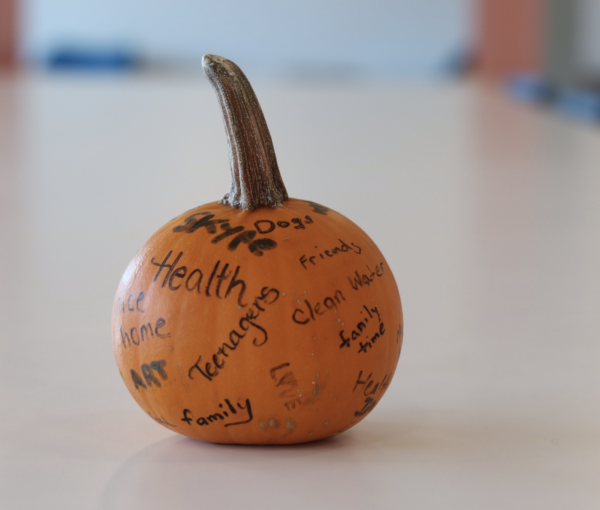 November’s blogs have focused on giving, and topics so far have ranged from corporate social responsibility to how FMP gives back through our charity team. This week we are expanding that theme to focus on methods to practice gratitude, and a summary of what we’re grateful for here at FMP. Thanksgiving is upon us, and amidst the hustle and bustle of meal planning and travel preparations it can be difficult to step back and think about what we have to be grateful for. But a growing body of research suggests that taking time to practice gratitude can have a real impact on well-being – both at home and at work. At the individual level, expressing gratitude is associated with personal gains including enhanced relationships, better physical and mental health, improved self-esteem, and better sleep. These individual benefits can translate into positive outcomes at work, including job satisfaction, increased productivity, and more organizational citizenship behaviors. There are a whole range of practices you can engage in to cultivate gratitude. At home, keeping a gratitude journal may help you focus on all of the things going well in your life. You can keep a daily gratitude journal and take a few minutes each day to recognize the little positive things that happen, or carve out 15 minutes once a week to document what you are grateful for that week. Research suggests that taking just a little time to journal what you are grateful for can lead to enhanced well-being, such as a more positive mood. At work, one of the most obvious ways to express gratitude is also quite simple — thank your colleagues. Be sure to thank colleagues frequently (aim for at least one expression of gratitude each day) and specifically (tell the person why you are grateful for them). Furthermore, organizations play an important part in supporting employees’ gracious behavior through recognition programs and practices. Organizations can also look for opportunities to give back to the local community through employee-driven service committees, which helps remind employees of some of the basic comforts they likely have to be grateful for (while also helping others in need). Colleagues. About 71% of us indicated we are grateful for our coworkers. Specifically, we described our colleagues as being smart, amazing, funny, wonderful, caring, helpful, positive, friends, and mentors (plus a specific expression of gratitude for Jacob’s baking!). Just reading the words used to describe my colleagues gave me warm fuzzies. If you’re grateful for colleagues (and other important people) in your life, be sure to let them know! Flexibility. About a third of my colleagues indicated they are grateful for the flexibility offered by our work environment. This flexibility allows us to attend to the things that we’re most grateful for outside of work: family, friends, pets, health, and travel! Growth and Development. About a quarter of respondents indicated they are grateful for opportunities to learn, grow, and develop professionally at work. Specific things we are grateful for include challenging assignments, a safe environment to learn, and mentorship to support our development. Our Work. Finally, we’re also grateful for the work we do – including our clients that provide us the opportunity to solve exciting and challenging problems. We’re also grateful for how we accomplish that work (“freedom to express ideas”), and the outputs of our projects (“quality work”). During the chaos of the holidays, I hope you’re able to take a few minutes to sit back and reflect on what you’re grateful for in your life – both at work and at home. Happy Thanksgiving! About the Author: Jess is an Engagement Manager at FMP, where she is grateful to work on exciting projects related to employee engagement and program evaluation. 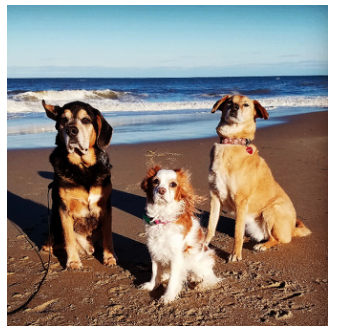 She has a long list of things she is grateful for outside of work, including family, friends, and trips to the beach with her three dogs!